At its Capital Markets Day presentation Nokia has confirmed it will be returning to smartphones in 2017. The source of this news, Nokia Power User (NPU), expects both Android smartphones and tablets under the Nokia brand to be shown off at MWC 2017 Barcelona show, late Feb / early March. Nokia's presentation slide is reproduced above. 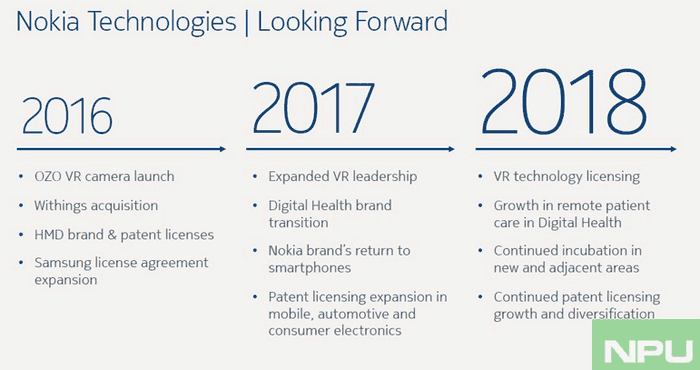 You can see that Nokia has a strong vision for VR, which seems to be focussed on the creator side of things. Amongst all the other 'looking forward' VR, patent, and digital health stuff we see "Nokia brand's return to smartphones" next year. Being a Nokia-centric site, NPU has woven together plenty of other threads to flesh out this re-entry to the smartphone market official confirmation story. It has previously noted the readying of a global launch ad campaign for Nokia Smartphones rolling-out in 2017. Furthermore Nokia and the MWC have confirmed the company's presence at the world's largest gathering for the mobile industry. Nokia CEO Rajeev Suri will deliver a keynote at MWC 2017. It would be odd not to have some product news to share at that time. NPU sources have previously 'confirmed' at least two Android Nougat phones in the works, with others expected to flesh out its offerings. A Nokia D1C tablet (or is it another phone?) was also spotted recently via leaked benchmarks. Nokia branded smart devices are expected to be made by HMD Global, a Finnish company that purchased Nokia’s mobile brand earlier this year, and Foxconn. 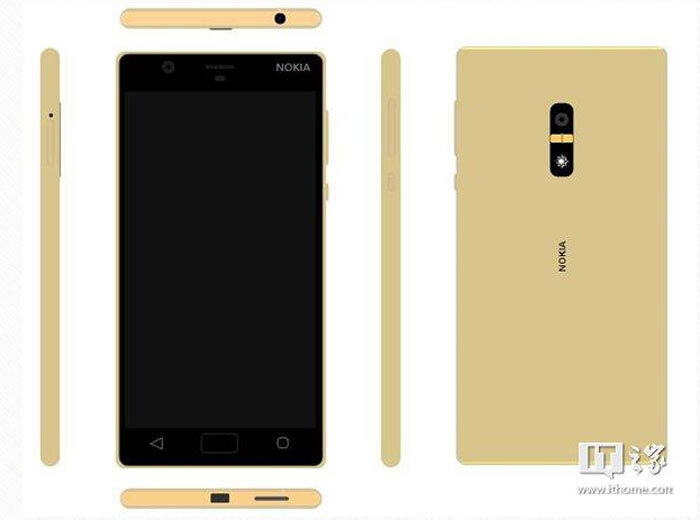 Considering they say Nokia ‘brand’ I'm not getting too excited yet.